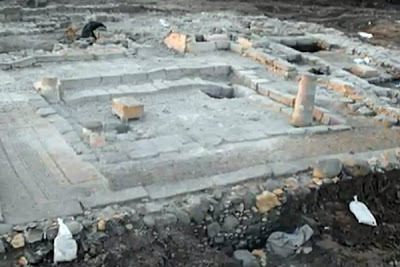 A synagogue where Jesus likely preached has been uncovered on the western shores of the Sea of Galilee in northern Israel. The 1st century Jewish house of prayer was discovered amidst the ruins of the ancient town of Magdala, home to the most well known female disciple of Jesus, Mary Magdalene. "This is the first synagogue ever excavated where Jesus walked and preached," said Father Eamon Kelly of the Catholic organization developing the property. "This is hugely important for both Jews and Christians,” he added. The synagogue is one of only seven dating back to the time of Jesus uncovered anywhere in the world. There is a very high probability that Jesus preached in this very synagogue. Before Tiberius was built, Magdala was the only town on the western shore of the Sea of Galilee. Matthew 15:39 tells us that Jesus landed here as he "he took a boat, and came to the coast of Magdala." According to the New Testament, Jesus traveled extensively through this area teaching and preaching in local synagogues. Magdala is just a few kilometers south of Capernaum, the fishing village where Jesus met Simon Peter, and not far from the Mount of Beatitudes where Jesus preached his legendary Sermon on the Mount. The town is also situated on the road that Jesus walked from Nazareth and Bethsaida to Capernaum. This area is on the Via Maris - an ancient trade route that ran from Egypt along the Mediterranean and then up the western shores of the Sea of Galilee all the way to Syria. Jesus spent much of his time here as it provided an important opportunity for him to teach the multitudes passing through. 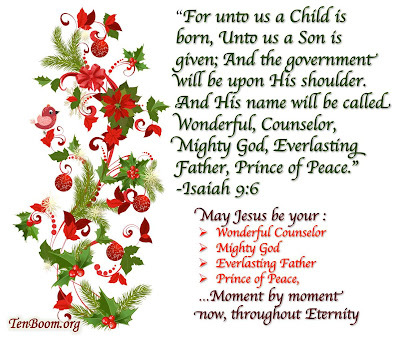 People tend to think of Bethlehem or Jerusalem as central places in the life of Jesus, but actually Jesus spent most of his life and ministry in the Galilee and northern Israel. "Eighty percent of Jesus' public life was right here," says Father Kelly, pointing to the Galilee region. In the times of Jesus, the local synagogue was not just a place for prayer, but also a community center where people would gather to discuss the news or share information about current events. 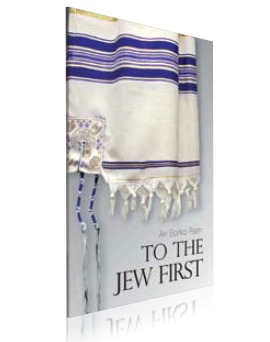 Whenever a new rabbi came to town, it was custom for him to come to the local synagogue meet with the people and teach. According to archaeologists, the Magdala synagogue was destroyed in 67 or 68 CE by the Romans. A sculpted limestone relief depicting a menorah was uncovered in the center of the synagogue. It is the oldest stone-etched menorah ever found. Archaeologists have also found fishing pools and Jewish ritual baths at the site, which is now open for visitors. I don't tend to post things like this too often, however in light of recent reports concerning the misconduct of Israeli soldiers in the territories, I am compelled to share a few confrontations and dilemmas that we, currently serving paratroopers in Hebron, experience every day. We, five Israeli soldiers were sitting down to lunch in a gun pillbox (concrete shelter) when one of the soldiers in the lookout noticed people approaching. He alerted us to check it out. We immediately manned our equipment to see what's going on. When I recognize that there are two little boys, I alert the Forces and ask the boys what they want. One of the boys answers, " Soldier bring me food!" When I ask him why he replies, "there is no food in my house and I've been searching through all the garbage bins." I told them to wait and that I'd be back shortly. I went inside and told the other soldiers the story. It was clear to us that we could not allow children to look through garbage cans during our watch and with our food surplus. We went back to the hungry children and, with good hearts, sent them off with good portions of Kebabs, fruit, vegetables and sweets. I hope this story experienced first hand by a soldier without a "middle man" conveys the complex reality that Israeli soldiers face every day and the humanity of the Israeli soldiers". 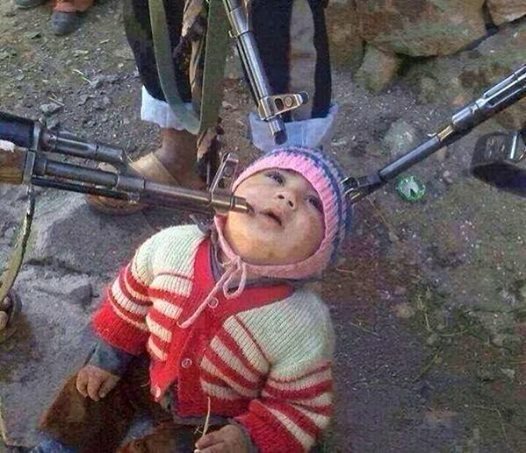 you'll not see this video on the main news sites around the world so it's up to you to SHARE the truth. An IDF soldier is in critical condition after terrorist snipers in Gaza opened fire on Israeli forces late Wednesday morning. The IDF soldiers were guarding work on the security barrier with Gaza in the vicinity of Kibbutz Nirim and Nir Oz, to the south of the Hamas stronghold, when they came under fire. The wounded soldier was evacuated for medical treatment at Soroka Medical Center in Be'er Sheva. His family has been notified. "As a result of the attack, an IDF combat soldier from the Bedouin Reconnaissance Battalion suffered a severe chest injury," an army statement said. After being shot at, soldiers returned fire at the sources of the gunfire. 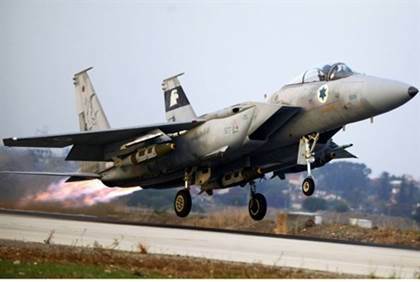 According to Palestinian Arab reports, there is a heavy exchange of fire going on, which reportedly includes tank shell fire from the IDF and airstrikes by the IAF. 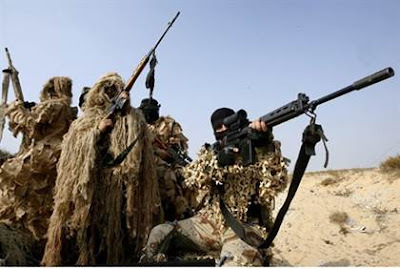 Tayseer al-Ismary (33), head of the surveillance unit in Hamas's "armed wing" Al-Qassam Brigades, was killed by a by Israeli return fire according to local medical sources, and two other Gazans were wounded. "In response to the firing at our forces who were east of the fence in the southern Gaza Strip, we carried out immediate attacks against the relevant targets," read an IDF statement. Israeli aircraft hit Gaza for the first time since an August truce ended 50 days of war after Palestinian terrorists fired a rocket at a southern Israeli town, witnesses and the army said early Saturday. A spokesman for Gaza's Hamas-run health ministry said there were no casualties in the air strike, which came just hours after the rocket hit an open field in southern Israel on Friday without causing casualties or damage. It was the third instance of rocket fire from Gaza since the August 26 truce between Israel and the territory's Islamist de facto rulers Hamas. The Israeli army said the air strike had "targeted a Hamas terror infrastructure site". Military spokesman Lieutenant Colonel Peter Lerner said the "Hamas terrorist organisation is responsible and accountable" for the rocket fire, which he said the army viewed "with severity." When the ceasefire went into effect, Israeli Prime Minister Binyamin Netanyahu vowed that his government would not tolerate a single rocket fired on Israeli territory, and would strike back even more strongly if attacked. 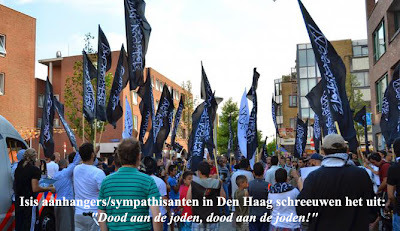 Isis aanhangers/sympathisanten in Den Haag schreeuwen het uit: "Dood aan de joden, dood aan de joden!" Tot haat, eliminatie, en discriminatie tegen joden en christenen openlijk uitroepen op straat mag wel, maar Geert #Wilders wordt vervolgd door het OM voor een uitspraak die hij niet zo bedoelde. Er zijn van deze groep islamitische haatzaaiers maar een aantal mensen door het OM opgepakt, maar van een veroordeling of een uitzetting uit het land, daar hebben wij niets van mogen vernemen. We don't like the Status Quo on the Temple Mount but ok.
Two hundred and sixty Messianic Jewish and Arab pastors, youth leaders, evangelists, Bible-school teachers and ministry leaders gathered for a three-day council to discuss, study, pray and work together to effectively bring the word of God in power to Arabs and Jews throughout the whole Land of Israel. These seasoned men and women of faith embody decades of labor proclaiming the Gospel to local Arabs and Jews. 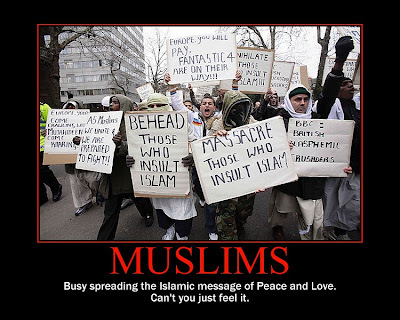 Most have given up everything to preach Messiah to their unbelieving Muslim and Jewish families and friends. Despised because of their faith, they have lost jobs, suffered rejection and endured multiple other hardships, yet their passion to bring the Good News to their people remains unquenched. 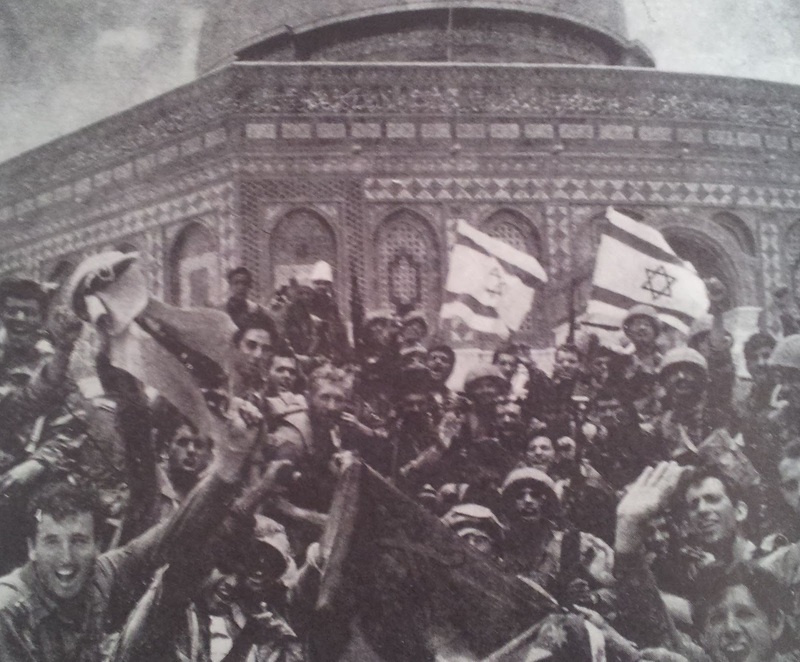 With tensions now raging in Jerusalem and across Israel, it was astonishing to witness firsthand the deep friendships between these Arabs and Jews. Even the cold-blooded murders in a Jerusalem synagogue that took place on the final day of the gathering could not separate these godly men and women from their warm fellowship in Messiah. All agreed that time is short, and the peoples of this land, both Arab and Jew, must hear the Word of God now. It was mentioned that some local leaders are not teaching or preaching about the Second Coming. They do not want to stir up controversy or division over what can be a difficult subject. 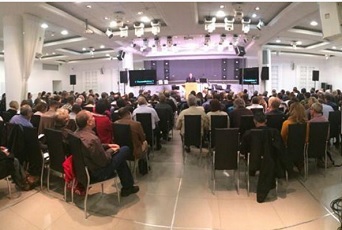 While there remains much debate in Christianity and among Messianic Jews as to what exactly will happen around the Second Coming of the Lord, all were in agreement that He is coming, and that the Gospel much be preached in boldness, especially in Israel, before it is too late, for He comes this time in glory and in judgment. According to many New Testament scriptures, the return of Messiah should unify believers, inspiring them to ready themselves in purity and holiness. It is seen as a cunning ploy of the enemy to cause so much confusion and division concerning the Last Days and Messiah’s return. 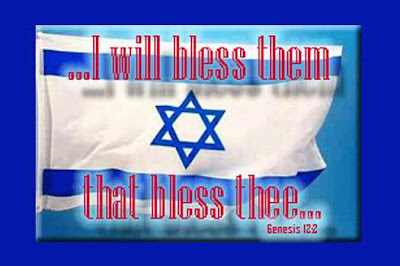 The leadership of the local Arab and Jewish congregations in Israel prayed for unity of faith in the Messiah’s return and boldness to tell others of His coming Messianic kingdom, the only real solution to the Arab-Israeli conflict and the peace of Jerusalem. They’re approving of hit-and-run attacks on Israeli civilians, and of stabbing whole families to death in the homes in the middle of the night. 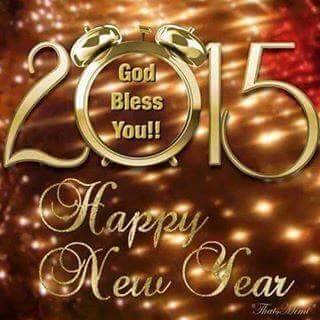 They’re glorifying and celebrating savagery. Just don’t call it that, you racist, bigoted Islamophobe. “Poll shows strong Palestinian support for attacks,” The Associated Press, December 9, 2014. An overwhelming majority of Palestinians support a recent spate of attacks on Israelis amid heightened tensions over the most sensitive holy site in Jerusalem, according to an opinion poll released Tuesday. 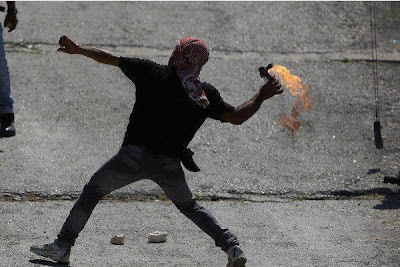 The poll also found that more than half of Palestinians support a new uprising against Israel, and that the Hamas militant group would win presidential elections if they were held today. Palestinian pollster Khalil Shikaki said the results reflected Palestinian anger over Israeli statements about the Jerusalem holy site, which is revered by Jews and Muslims, as well as a loss of hope following the collapse of U.S.-brokered peace talks and Israel’s recent war with Hamas in the Gaza Strip. 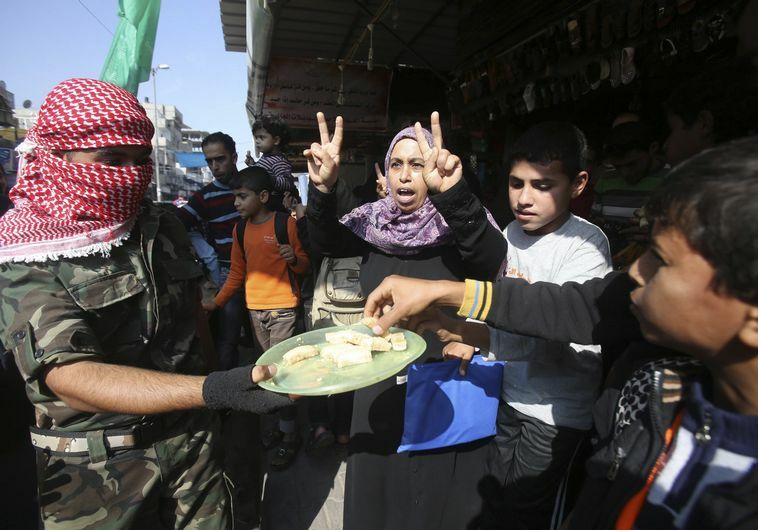 The Palestinian Center for Policy and Survey Research interviewed 1,270 people in the West Bank and Gaza last week. The poll had an error margin of 3 percentage points. There has been a spate of attacks in Jerusalem over the past month and a half, at a time of rising tensions over the contested holy site, revered by Muslims as Noble Sanctuary and by Jews as the Temple Mount. Prominent members of Israel’s government have become more vocal in recent months about demands that Jews be allowed to pray at the Muslim-run site, which is home to the Al Aqsa Mosque and iconic Dome of the Rock. 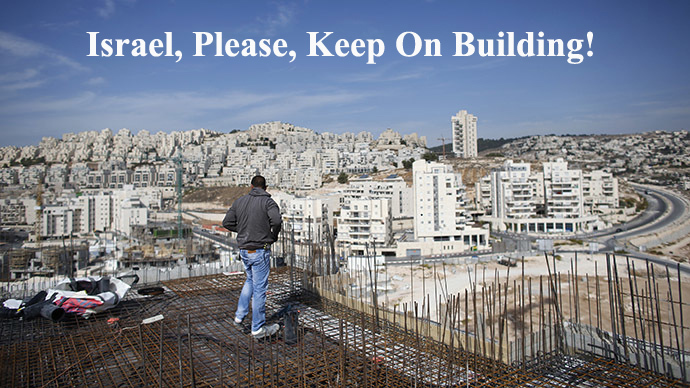 Many Palestinians fear this is a pretext for a gradual Jewish takeover — a claim Israel denies. The poll found 86 percent of respondents believe the shrine is in grave danger from Israel. It said 80 percent supported individual attacks by Palestinians who have stabbed Israelis or rammed cars into crowded train stations. 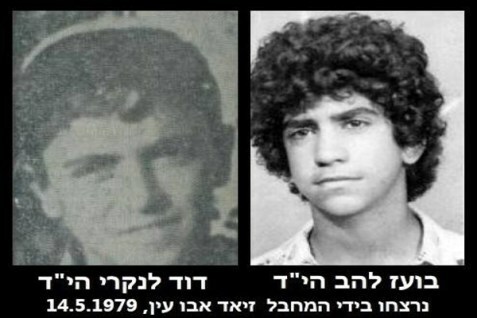 In 1979, PA Terrorist Ziad abu Ein planted a bomb in a garbage pail in Tiberias, murdering two teenagers, Boaz Lahav (16) and David Lankri (14). 32 people were injured. Outgoing Foreign Minister Avigdor Liberman (Yisrael Beytenu) on Thursday slammed the "delusional accusations" made by the Palestinian Authority (PA) and Hamas blaming Israel for the death of convicted terrorist turned senior PA official Ziad Abu Ein on Wednesday. Liberman said the PA's accusations that Israel had "murdered" Abu Ein were baseless and meant only to incite the Arab population; the PA also threatened to suspend its security cooperation with Israel as a result of his Abu Ein's death, and PA chairman Mahmoud Abbas referred to Abu Ein's "martyrdom." "The delusional accusations of excessive use of force and of 'Israel is responsible for murder,' as a representative of the Palestinian government said, bear witness only to the motives of the Palestinian inciters who do everything to worsen the conflict," said Liberman. An autopsy from the Abu Dis Forensics Institute revealed Abu Ein suffered from existing medical conditions and died of a heart attack while clashing with IDF troops in an olive-planting land-grab march of 300 activists. The autopsy noted "the deceased suffered from ischemic heart disease; blood vessels in his heart were found to be over 80% blocked by plaque. Old scars indicating that he suffered from previous myocardial infractions were also found." "The state of Israel and IDF soldiers time after time prove that despite the fact that we are dealing with organized violent acts and with difficult situations that no other democratic government in the world is forced to deal with, we do it as well as is possible," said Liberman. While Arab sources claimed Abu Ein was struck by soldiers and died of wounds, video from the clash shows that wasn't the case, and that after he started showing signs of a heart attack a female IDF medic tried to offer him aid which he refused. Abu Ein was a member of the Fatah Revolutionary Council, which is also known as the Abu Nidal Organization - a recognized terrorist organization in the US for over 20 years. He was handed a life sentence in Israel in 1982 after being extradited from the US in 1981 over the murder of two Israelis in Tiberias in 1979. 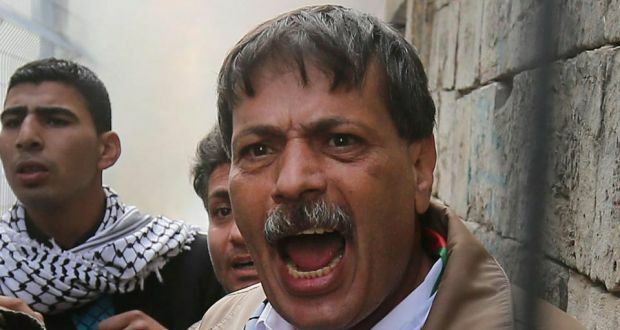 Abu Ein planted the explosives which killed the two - Boaz Lahav and David Lankri hy''d. Most recently he held a post leading the PA committee against "settlements," after previously being the PA Deputy Minister of Prisoners' Affairs, leading a ministry tasked with providing funds to Arab terrorists jailed in Israel to reward them for their crimes. That ministry's task was shifted to Palestine Liberation Organization (PLO) control, with Abu Ein saying at the time in June that it was done so as to dupe foreign donors. Boaz Lahav (16) and David Lankri (14) - murdered by PA Minister Ziad abu Ein in 1979. The Desert Streams - Prophecy fulfilled! Photo taken from Engedi on our Israel trip 21th October 2014. Should the US Impose Sanctions on Israel? 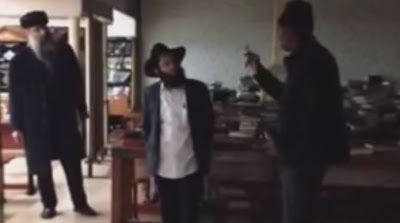 An Israeli man was stabbed early Tuesday morning by an assailant at Chabad-Lubavitch headquarters in New York. The attacker, a black male later named as Calvin Peters, entered the Hasidic movement’s headquarters in Brooklyn’s Crown Heights neighborhood and stabbed the 22-year-old several times in the upper body. 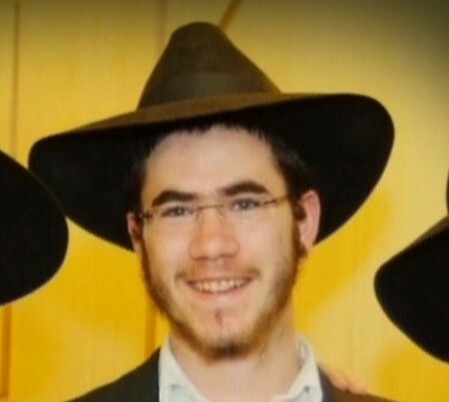 The victim, an ultra-Orthodox Israeli named Levi Rosenblat, was lightly to moderately injured in the attack. The Yeshiva World News website reported that he was conscious and had spoken to a relative on the phone. A 9-inch (23-centimeter) knife, with a 4.5-inch (11.5-centimeter) blade, was recovered at the scene, police said.The attacker, who appears in a video speaking English with a heavy accent, was shot by police who arrived at the scene, after he refused to put down his weapon. He was evacuated to a hospital under arrest, and was pronounced dead at Kings County Hospital, police told local New York media. Levi Rosenblat, an Israeli man who was stabbed in New York on Tuesday, December 9, 2014. Israel Early Elections: Who Wins, and Who Thinks They'll Win? 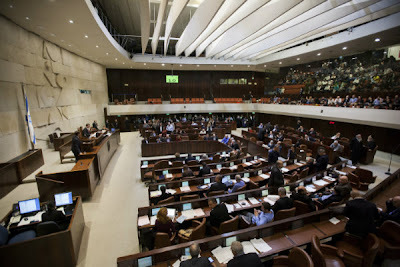 Surveys conducted by Channel 2 News and Channel 10 News shortly before Netanyahu’s announcement showed that most Israelis blamed the prime minister for the early elections, but that a plurality of voters would choose his Likud party in the upcoming poll. 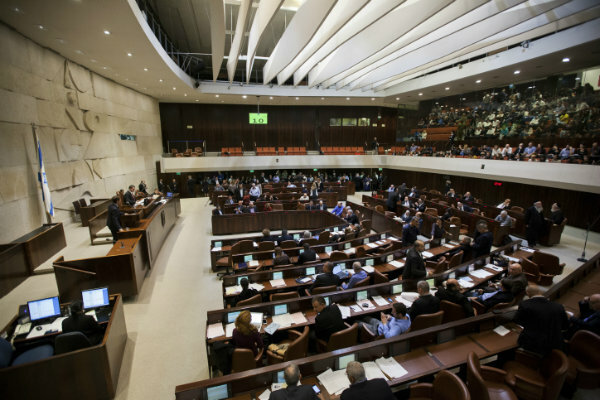 There is much speculation that Jewish Home leader Naftali Bennett had a hand in bringing about the early election given that he and his party stand to gain the most. 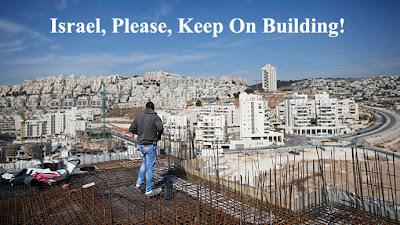 Jewish Home is the only party predicted to grow by more than 50 percent, and Bennett could then make a strong case for demanding the position of defense minister, putting him on track to one day take the prime minister’s chair. 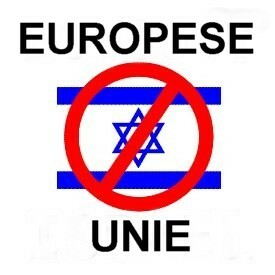 Wat zijn de verwachtingen bij de nieuwe Israelische verkiezingen? 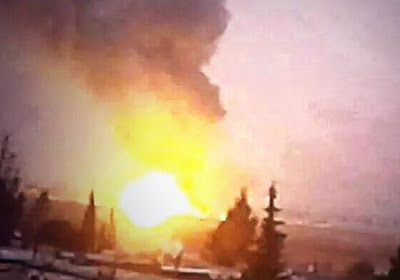 "The Israeli enemy committed aggression against Syria by targeting two safe areas in Damascus province, in all of Dimas and near the Damascus International Airport," state television said, adding that there were no casualties. Residents in Damascus said they heard loud explosions.The Syrian Observatory for Human Rights, which tracks the conflict, said that 10 explosions were heard near Dimas. According to foreign reports the attack targeted a warehouse of advanced S-300 missiles, which were en route from Syria to Hezbollah in Lebanon. 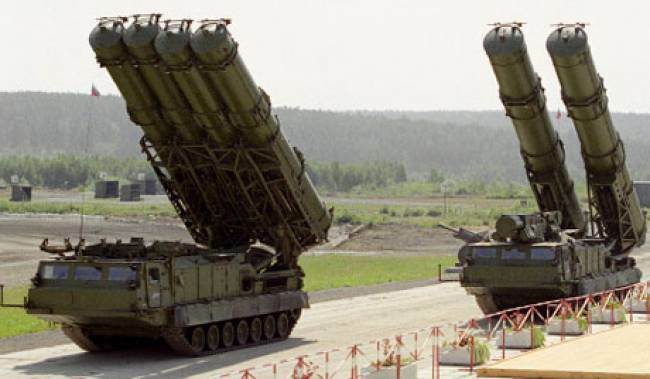 Israel has repeatedly warned that it is prepared to use force to prevent advanced weapons, particularly from Iran, reaching Hezbollah through Syria. According to foreign reports, Israel reportedly carried out several air strikes on Syria earlier this year. On December 3rd, 2014, at about 04:55 PM a 16-year-old "Palestinian" terrorist entered the Rami Levy supermarket in Mishor Adumim (which serves as well as employs both, the Jewish and "Palestinian" Arab populations) and began stabbing and shooting Jewish customers. At first an MDA volunteer who happened to be there threw himself at the "Palestinian" Arab terrorist, then a security guard on site shot the terrorist thereby neutralizing him by shooting the terrorists in the leg. The 16 year old "Palestinian" terrorist can be seen in the video shopping alongside Jewish shoppers. The youth suddenly and viciously attacks the two male shoppers. 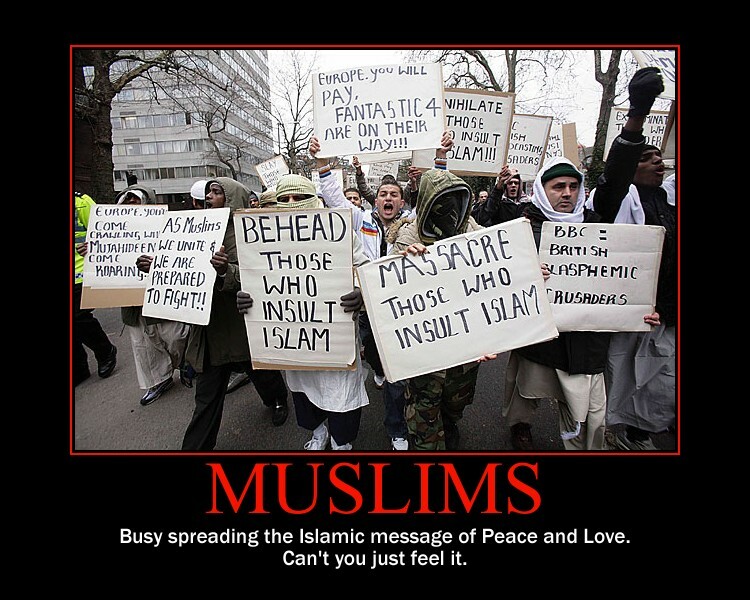 It is clear that the attack was unprovoked. France is Doomed! Falling under the Genesis 12:3 Curse now! 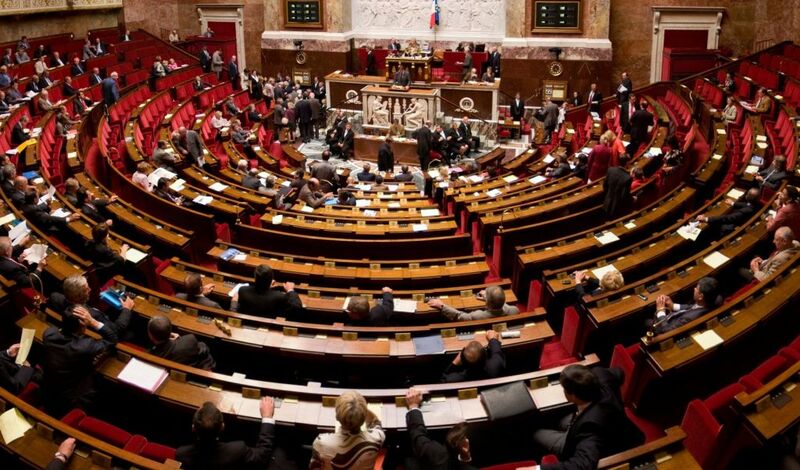 France's lower house of Parliament has voted Tuesday to urge the government to recognize a Palestinian state, in the hope that speeds up peace efforts after decades of conflict. The vote, approved with 339 votes to 151, is non-binding. 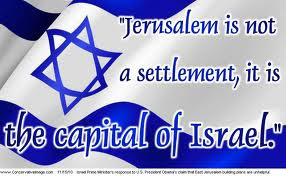 But it is a symbolic boost for the Palestinians, amid growing support in Europe for two states. The measure asks the government "to recognize the state of Palestine in view of reaching a definitive settlement to the conflict." 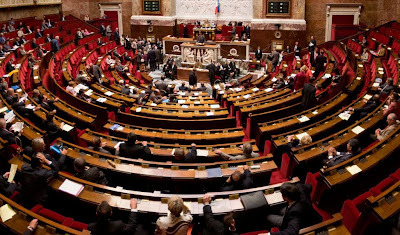 The French government supports a Palestinian state but says it's too early for recognition. France, a veto-wielding member of the UN Security Council, wants peace talks to restart first. Israel is committed to the establishment of a Palestinian state under a peace agreement, but says such resolutions encourage the Palestinians to avoid negotiations. On October 30, Sweden's government became the first western European nation in the EU to recognize Palestinian statehood. Since then, lawmakers in Britain, Spain and Ireland have approved non-binding motions urging recognition. Last week members of the European Parliament began debating whether they can agree on a common approach for the European Union's 28 member states. France - which has western Europe's largest Muslim and Jewish populations, and has seen tensions erupt between them - has sought to keep good ties with Israeli and Palestinian authorities in recent years. Israel's ambassador to France spoke out against the proposed resolution last week, saying it was destructive for the peace effort. 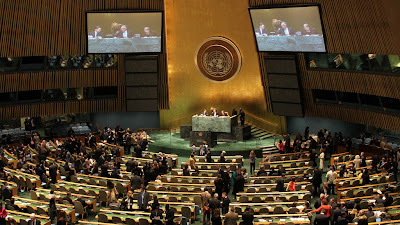 The United States, Canada, Palau and Micronesia joined Israel in opposing the measure, while 18 countries abstained. 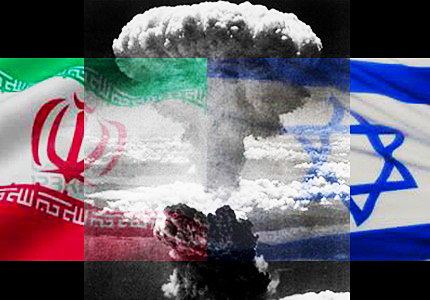 Israel is widely considered to possess nuclear arms but declines to confirm it. Een groot aantal joodse jongeren wil weg uit Nederland. Dat bleek tijdens een bezoek van een Britse parlementaire delegatie. De jongeren voelen zich enorm bedreigd, vooral door de vele haatuitingen op sociale media, meldt het Nederlands Dagblad zaterdag. Online antisemitisme piekte vooral tijdens en na de Gazaoorlog afgelopen zomer. De Britten snappen niet dat de Nederlandse regering zich stil houdt over deze kwestie. Eerder deze week sprak de krant met Israëlische wetenschappers, die ook een sterke stijging zien van haatmails en doodsbedreiging naar joodse jongeren. 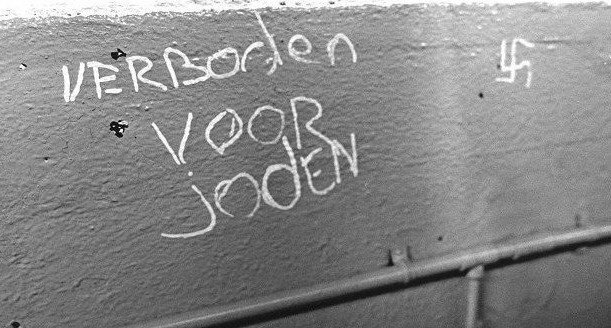 Sommige bestuursleden van joodse jongerenorganisaties durven daardoor niet meer met hun volledige naam of foto vermeld te staan.